I started going to Disney World at the age of three. Some families go to the beach every year. Well, my family went to Disney. I got a degree in PR and worked at an advertising agency for a while, but my heart wasn’t stirred by it. Travel was always something that called to me, so I got a job at a travel agency. Of course, I was the Disney specialist. And, through that job, the rest of the world literally opened up to me as well. 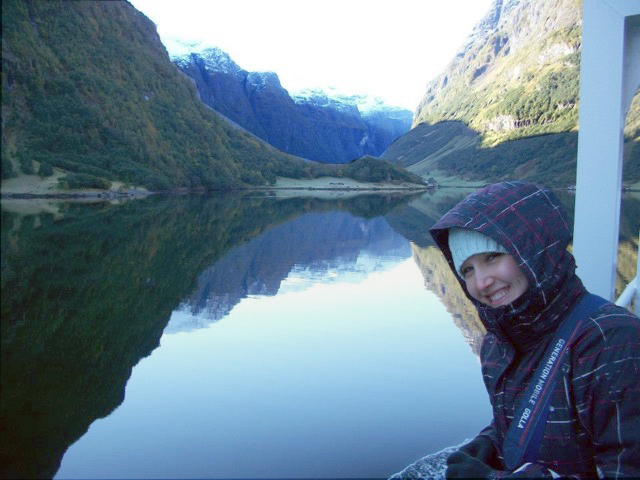 I had so many travel firsts during those years visiting countries as varied as Iceland and Estonia. But, I still feel like Disney World is my home away from home. I found selling Disney trips was my highest passion, so I found my way to Small World Big Fun. I knew Small World Big Fun was an EarMarked agency, and I’d heard so many great things about the agency and individual agents. It really sounded like a place that I wanted to be. So, one day I simply picked up the phone and called Cindy. Disney will always be part of my life, and so will travel, so why not make it my life’s work? I love working with couples and all sorts of families. Disney World and Disney Cruise Line are what I book most, by the numbers; however, with the years of experience I have in international travel, I get very excited when I have the opportunity to plan these adventures. I’ve planned vacations everywhere from my mother’s homeland in Northern Europe where I’ve traveled extensively, to Tahiti, Kenya, Chile, Belize. I love putting all the details together to make whatever trip my clients book the perfect one for them. Seeing clients’ trip pictures and the smiles on their faces is always one of the most rewarding parts of the job for me! Have a plan, but not a militarized battle plan. Allow some time for relaxing and spontaneity. Plan your trip, not the trip your friends, neighbors or relatives think you should have. Just because they did XYZ does not mean you have to do the same thing! For cruises and international trips: Do you know where your passport is? Always know where your passport is (and when it expires)! For Disney World trips: Make sure you keep your MagicBands with you when you take off (do not put them in checked luggage). I’ve got so many great stories I could tell about vacations I’ve planned, and every trip is special in its own way! I was honored to help plan a weeklong trip to Disney World for a mom, dad, and a young boy about 7 – it was the boy’s first visit and we pulled out all the stops. The father had a long-term, terminal illness so there was the very real possibility this would be their last family trip. Unfortunately, he did pass away not long after their vacation. Two years later, mom and son went back to Disney World as part of their healing and renewal process. The way that family celebrated together, grieved together, and healed together touched my life, and I was humbled to be a part of it. Have a trip idea? That’s all you need – let’s talk! You trust your accountant, lawyer, and real estate agent with their respective duties, and you should feel the same way about your travel agent. Let me use my expertise to help you plan the trip your family wants. I charge no fees for my services and you won’t have to spend hours on the Internet stressing over details and second-guessing. I’ll communicate however it’s convenient for you: Facebook messenger, text, email, or phone. You can find me on Facebook or you can get in touch via email at myarberry@smallworldbigfun.com or by cell at 501-860-2514.